I don’t know about you but I treat it like a gold mine when I find something that really works. I not only go back to the product but I also make sure that I have it within reach, “in case of emergency.” If there’s one holy grail for acne control, it’s definitely Proactiv Renewing Cleanser for me. 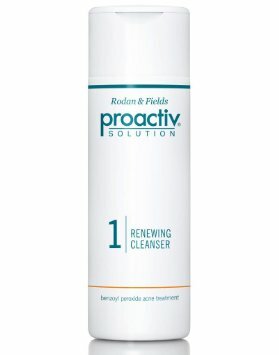 Proactiv Renewing Cleanser is a mild cleanser that’s combined with a medicated formula that has advanced micro crystal benzoyl peroxide. The micro crystals gently exfoliate dead cells and takes care of impurities that otherwise clog the pores. Proactiv’s benzoyl peroxide effectively penetrates the pores while being gentle to the skin. The formulation is perfect in that it effectively kills acne-causing bacteria. Thus, greatly reducing the existence of acne. 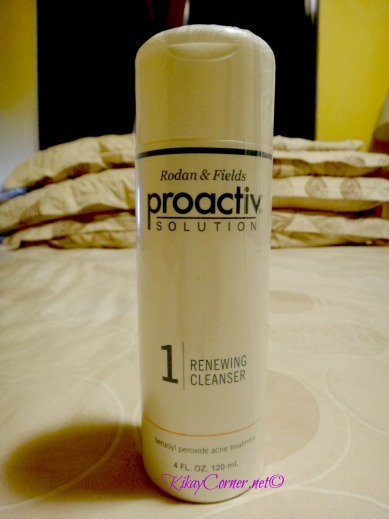 I use Proactiv Renewing Cleanser every morning and before I retire for the night when I feel there’s a pimple about to surface. Otherwise, I use the product once a day. I gently massage a small mount of the product for a minute or two on my damp face and. I love working those tiny beads all over my face like I’m getting my face its much needed pampering. Proactiv products are available in Watsons and SM Department stores and selected mall kiosks.